Signal flags are used to communicate messages to and from ships. 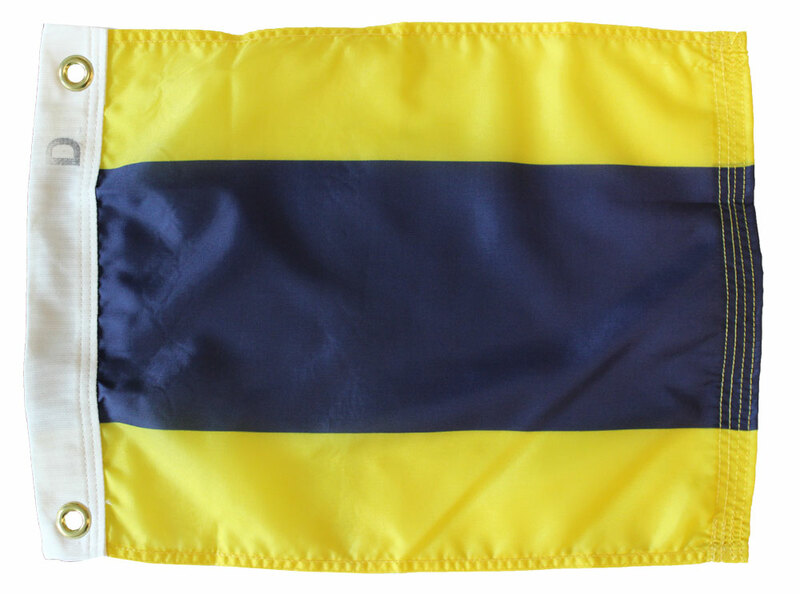 These outdoor flags are crafted from durable nylon material, with extra stitching for long-life usage in marine environments. Individual Size 0 letters (12" x 15") with header and grommet are stock items. All other sizes, and pennants made with rope and toggle, are made to order items and take 2-3 weeks for delivery. The nautical code letter D (Delta) flag by itself indicates "Keep clear of me; I am maneuvering with difficulty."